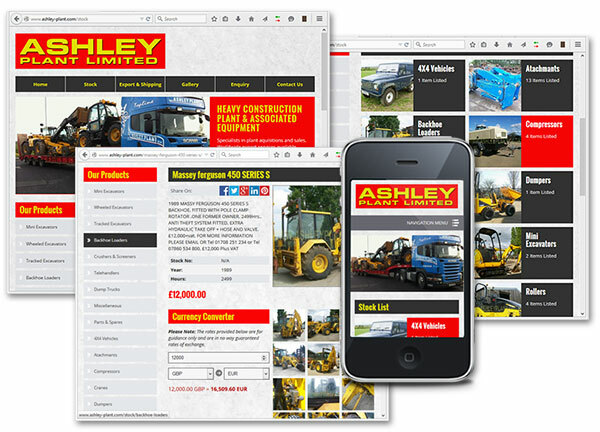 We recently went live with a new HTML5 responsive website for Ashley Plant, fully optimised for mobile and tablets, and to take advantage of the SEO benefits this provides. Based in Essex, Ashley Plant provide a hand-picked selection of quality heavy plant and construction machinery. Click the screenshots below to visit Ashley Plant.